To become a small business entrepreneur, you have to learn to wade through risks and challenges. Be disciplined, self-driven, hard working, confident and also think smart. Believe in the product or service you are providing. Brush up your marketing and leadership skills. 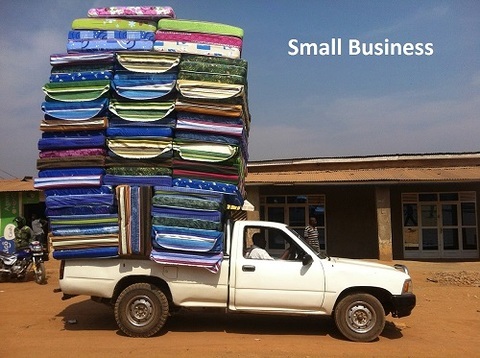 This helps in establishing your business in the competitive market. The Government of India has several skill development schemes like Pradhan Mantri Kaushal Vikas Yojana (PMKVY) and UDAAN. The PMKVY is the main scheme of Ministry of Skill Development and Entrepreneurship (MSDE). The objective is to deliver industry relevant skill training programme to a huge community of Indian youth. This skill training will help them to have a secured living and their skills will be evaluated and certified by Recognition of Prior Learning (RPL). For more information, see here. The objective of UDAAN is to provide skills training and to increase employment for Jammu and Kashmir. This industry initiative also aims to provide exposure on rich talent pool of J&K for Indian corporates. UDAAN plans to provide training for 40000 youths in 5 year period. Candidates will be evaluated and considered for job offers by the partnering corporates after completion of their training period. Stipend and other expenses for travelling, boarding and lodging will also be provided during their training programme. For more information, click here. 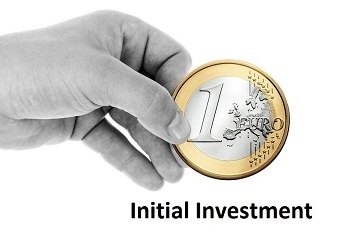 A small business plan requires an initial investment. There are many ways to finance your business plan such as finding good investors, financiers, small business loans or business grants. Bootstrapping is another way of funding your business through revenue generated from sales. Many business loan schemes are available from the Government sectors to initially support your business. Small Industries Development Bank of India (SIDBI): Promotion and development are the active roles played by this loan scheme for small business industries. SIDBI provides various schemes like Direct assistance Scheme, Indirect assistance scheme, Promotional and development activities, National equity fund scheme, Technology development and modernization fund scheme, Mahila Udyam Nidhi (MUN) scheme, Equipment finance scheme, Single window scheme, Food processing industries scheme (FPTUFS) and Integrated development of leather sector scheme (IDLSS). For more information, go here . National Bank for Agriculture and Rural Development (NABARD): Promoting agriculture based rural business enterprises is the main objective of this scheme. Mostly NABARD offers financial assistance to small scale industries namely village and cottage industries. The Credit Guarantee Fund Scheme for Micro and Small Enterprises (CGMSE): This scheme provides collateral free credit to both existing and new Ministry of Micro, Small and Medium Enterprises (MSMEs). SIDBI and MSMEs launched Credit Guarantee Fund Trust for Micro and Small Enterprises (CGTMSE) to start the scheme. This scheme provides working capital facility upto Rs 100 lakh per borrowing unit and credit facility in term loan form. The Government and SDBI contributes the amount by the ratio of 4:1 respectively. For more details click here. National Small Industries Corporation Limited (NSIC): This scheme was established in 1999 and its prime objective is to import machines on hire purchase terms. It works for distributing and supplying both imported and indigenous raw material along with small business unit products export. For more information see here. Credit Link Capital Subsidy Scheme (CLCSS) for Technology Up gradation: The ministry of Small scale industries runs a scheme for SSI technology upgradations called as CLCSS. It provides capital subsidy of 15 percent (Maximum 15 lakhs limited) for the modernization of plant and machinery of SSI units as a credit availed by them. From the start of this scheme, a subsidy of Rs.1619.32 Cr have been availed from 28,287 units. To know more, go here. Technology and Quality Upgradation Support to Micro, Small and Medium Enterprises: The main aim of this scheme is to make aware of MSME manufacturing sector to use manufacturing processes and energy efficient technologies to reduce emission of hazardous gases and production cost. This scheme also increases the product quality of MSMEs to promote them towards global competition. Government of India gives financial support upto 75 percent through this scheme. For more details, click here. Market Development Assistance Scheme for MSMEs: The MDA Scheme for MSMEs provide funding for exhibitions and international trade fairs under Indian MSME stall to help indian manufacturing SMEs get attention in International Markets. It even offers funding for export promotion councils, FIEO and for industry associations sector specific market study. This scheme provides one time registration fee of 75% as compensation and an annual fee of 75% as recurring amount paid by SMEs to GSI for the bar code for first three years. Mini Tools Room and Training Centre Scheme: The main goal of this scheme is to develop more tool room facilities to provide technological support and training facility in tool design and manufacturing to create designers, engineers, supervisors and skilled workers. The Indian Government provides financial assistance in one-time grant-in-aid form to assist State Governments to set up Mini Tools Room and Training Centres. For machinery and equipments 90% of the cost (Rs.9 crores maximum) is provided as financial aid and 75% (Rs 7.50 crores maximum) has to be upgraded for the existing room. Choosing a business structure which is most beneficial to you is the foremost and most important step in any startup. The business structure should have the advantage of flexibility in case you think of changing the structure in future. The most common and popular business structures are partnership, sole proprietorship, a corporation, Limited Liability Partnership (LLP) or Limited Liability Company (LLC). A business get recognised initially by its name. The value of business is synonymous with the name of the business. So it is very important to choose the right name for your business. After you finalise the name you need to register it for all legal implications such as filing taxes and licensing purpose. Corporations, LLPs and LLCs file their business after when they complete their formation paperwork. Demographic location of your business is yet another important aspect of a business whether it is small or big. Location is decided considering factors such as operational cost, scope for expansion and proximity to customers. Depending upon the type of business one has to comply with the laws of the land also for permits. Break-even analysis can be calculated by using with a good cloud based accounting system as well. Once the business process is established, the next important aspect is to find a position in the market. For that you need to have a USP (Unique Selling Proposition) which is creative enough to attract key customers. Apart form that smart marketing ideas and timely promotions takes the business a long way. Being part of an effective business network help to grow your business. It can be achieved by enrolling yourself in business groups,business clubs, business publications, etc. Leverage the network for reaching out to more prospective customers, services and online resources. Examples for business groups are local business chambers like Indian Chamber of Commerce (ICC), Business Network International (BNI), Indian Angel Network and many more.